Send a copy of your passport or ID with both sides and all four corners visible as well as a document which verifies your address (like a utility bill) to docs@eWallet-Optimizer.com to get instant NETELLER Silver VIP Status with the highest deposit, transaction and NETELLER Net+ MasterCard limits. Please use as subject “Account Verification: (your NETELLER account ID)“​. NETELLER allows to have multiple currency accounts while every account is handled separately. For each currency account, you will have a different email, password and spending amount. Only VIP status and contact details will be linked, so you will not need to verify your identity again. Make sure to send a copy of your passport or ID with both sides and all four corners visible to docs@eWallet-Optimizer.com with information about your 2 currency accounts (email addresses & accounts IDs) to get them unlocked and verified. Please note that the NETELLER system will freeze your new account most likely. Please contact NETELLER and let them know you registered an additional currency account. 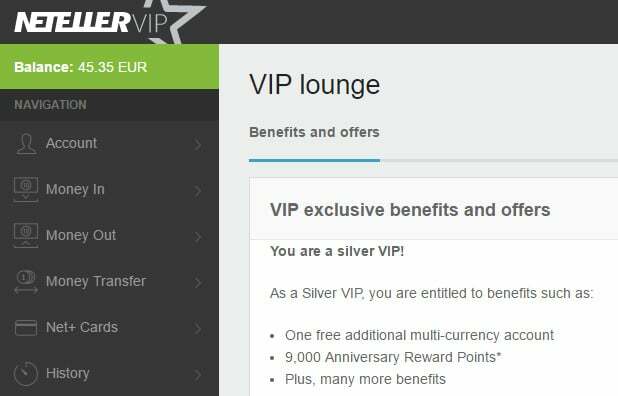 Also send a copy of your passport or ID with both sides and all four corners visible to docs@eWallet-Optimizer.com to get instant NETELLER Silver VIP Status with the highest deposit, transaction and NETELLER Net+ MasterCard limits.